Mobile Computers | Taylor Data Systems, Inc. 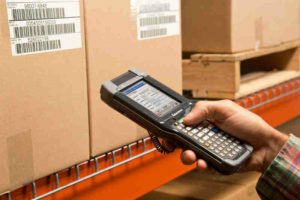 Mobile computers have long been proven to be the right choice for workers in the warehouse, on the manufacturing floor, in the distribution center or out in the field. With access to the company network, shared files, dozens of applications and internet accessibility, they have become a staple in the work environment. Choosing the right industrial mobile computer for your business is a particularly important task, since the right device can provide efficient operations and high productivity—while the wrong one may result in excessive downtime, high costs and endless frustration. Making the best selection for rugged mobile computer revolves around 5 key factors. Most industrial environments include harsh operating conditions, so start by limiting your short list of mobile computers to the few that can operate under the common conditions of your business. If you work with inventory that requires cold storage, be sure your chosen device can operate in cold temperatures, work optimally with gloved hands, and resist condensation that can occur when transitioning from cold to room temperature conditions. The same holds true for elevated temperatures, wet processes, or operations subject to dust, direct sunlight or acids and solvents. If you have a harsh environment, look for a ruggedized device. If the device isn’t rated for conditions common to your business, cross it off your list. For the widest selection of applications, developers and support, choose devices that use common industry standards. The device should have multiple connectivity options, including multi-channel Wi-Fi protocols (802.11x, WPA2, FIPS), Bluetooth, USB and Ethernet. Beware of proprietary connectors—they may prove hard to work with or replace in the future. Also, look for drop-proof resilience and shock resistance. The device should be able to stand several drops from a 5-foot height onto concrete, which is the standard measure of resiliency to falls. You may also want to see mobile devices that are certified to work with your existing infrastructure. For example, if you use a Cisco LAN, look for a mobile unit that can easily integrate with your network. Many devices are also certified to work with your enterprise business applications such as SAP, Oracle or Microsoft Dynamics. Buying a device with a certified integration feature will cut down on the cost and hassle of integrating the device data with your primary business systems. Mainstream operating systems for mobile devices include Windows, Unix and Android. Of these, Microsoft Windows offers the widest selection of apps as well as the easiest support since there are many people who are familiar with the OS, and it is a very stable product. However, Microsoft is phasing out Windows Embedded Handheld, so look for devices that offer both Android and Windows operating systems if it’s flexibility you seek. This will enable you to migrate when it’s convenient for you without being rushed by lack of support. Decide how your team operates and how the business processes flow. If your processes require the operator to key in data as well as scan it, look for a device that includes a keypad. If your process requires signatures from customers for deliveries or service calls, look for a device with a built in digital signature pad. Mobile computers come in a variety of configurations, and most have accessories that can be added to enable additional capabilities. Even so, be sure you know that what you’ll need is available before you make a final decision. Verify the device’s power consumption. If a device will be in constant use during a shift, check that the batteries will last all day. Forcing operators to return to a base station to change batteries mid-shift is a huge waste of time. If the device will be used in a multi‑shift operation, check that it has user replaceable batteries so you can swap the tired batteries for fresh ones at the start of each shift. Making the right choice is critical in order to maximize the total cost of ownership. Purchasing a device strictly on price may end up costing you more over time in repairs and inability to perform job functions in a timely manner. For more information on device options and how to find the perfect mobile computer for your workforce, contact us today.